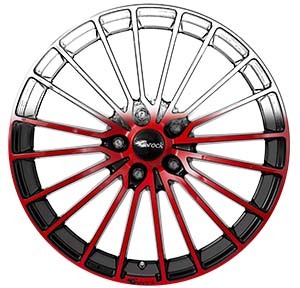 Alloy wheels from Wheel Manufacturer for Brock & RC-Design impress with excellent stability and highest security. They also have exceptionally long lifetimes. 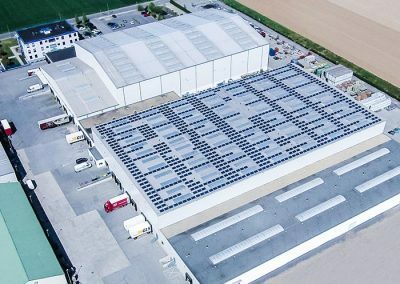 Certified management systems in quality, environment and energy are installed along the entire value chain and help us to improve new product generations continually. 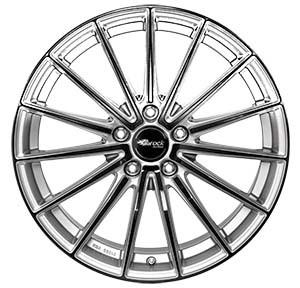 Alloy wheels from Brock distinguish by their superior optics. 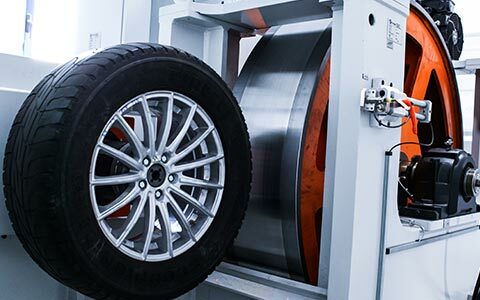 But that is not everything, technical aspects like Tire Pressure Monitoring Systems (TPMS) and other technological innovations complete every wheel project in its individual and recognizable shape. Modern software allows the design of mathematical and topologically perfect geometries already in the planning phase. 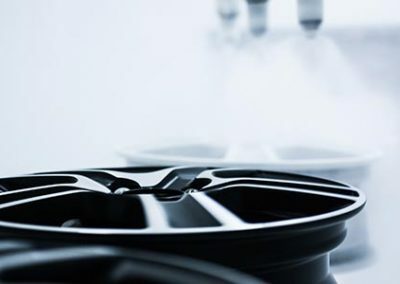 So every single, for the strength irrelevant gram, is saved to protect natural resources such as aluminum or fuels on the one hand, while ensuring an outstanding driving experience on the other hand. As we signal with our motto “stagnation is regression”, technical innovations have a center position in our company processes and they are also the drive for our Change Management Department. 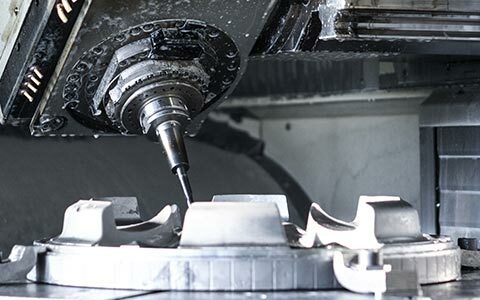 CAD, CAM, FEM, CAE, MES, Auto-ID and many more …. 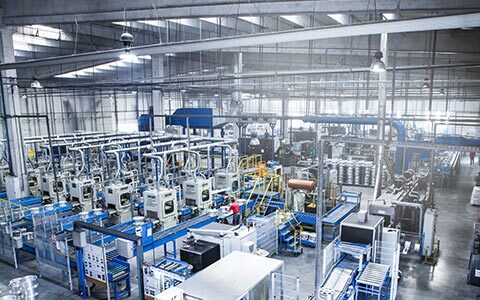 These acronyms are a central component in the language of our engineers and technicians alongside the value chain. 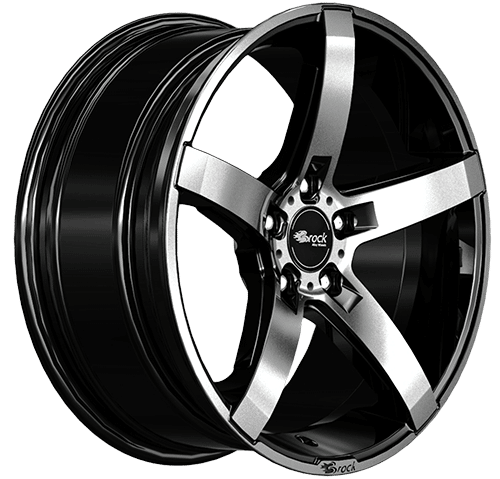 Already in the early stages of design and development, it seems to be clear, how the wheel would look like in one of the numerous colors, which technical details it has, how it passes through the manufacturing and if it covers the customers demands. 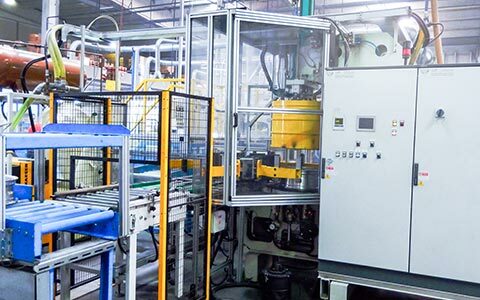 Even the checking of the multiple TPMS-Sensors passes an automated algorithm that can find out which installation is possible within seconds. 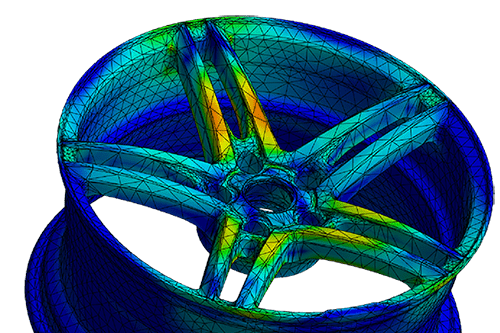 FEM-Analysis: The „Finite-Element-Method“ checks characteristics like strength based on the structural behavior of the wheel type. 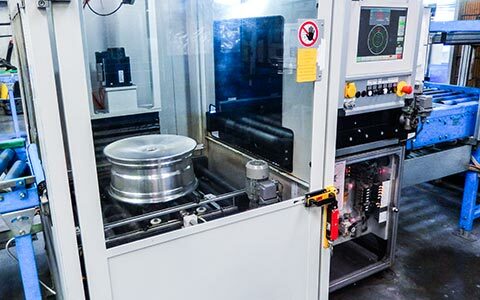 With simulations, which are testing real life scenarios and other operating conditions, an optimization can be reached, already before the production begins. 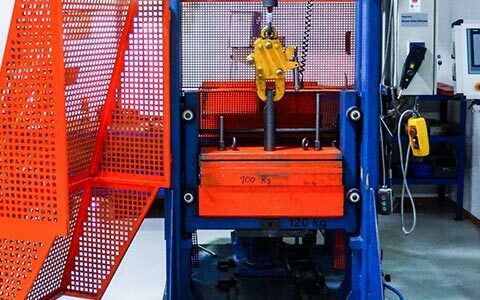 On this occasion weak spots are discovered, the power to weight ratio is improved and the use of material can be determined. 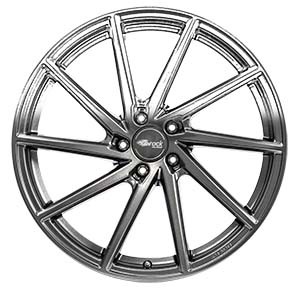 Brock Alloy Wheels only uses raw materials from renowned suppliers. 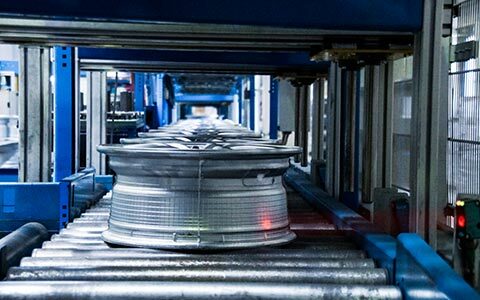 The incoming aluminum is scanned and the data is transfered to the ERP system to ensure a complete traceability at all times. 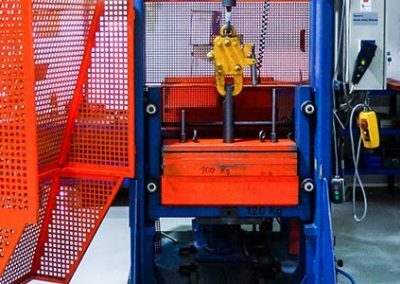 Before they can be used in the production process, each piece of aluminum hast o pass through our own spectral tests. 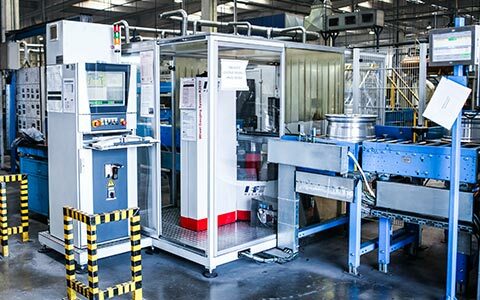 We have installed our own individual tool construction and we believe that our high-tech facilities help to improve our customer service. 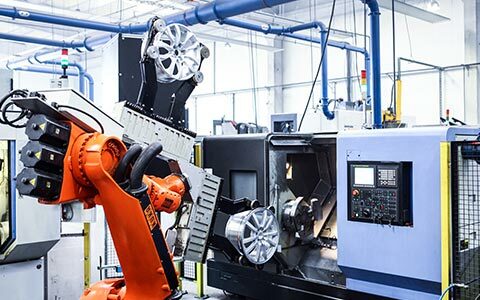 The combination of the most modern software and innovative machinery leads to higher precision, flexibility and efficiency. 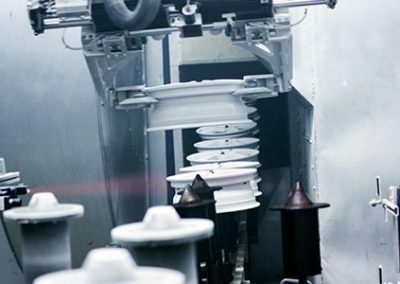 Through continuous improvements, we can increase our accuracy and supply permanently without rising costs. 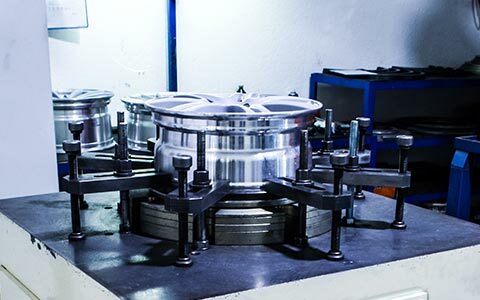 Our highly qualified tool construction works on the molds and moldings all the time. 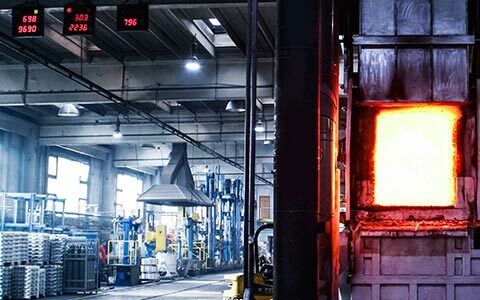 Cast Aluminum Alloys are heated to temperatures above their melting points to proceed with them in liquid form. With the addition of additives, the melt can be influenced by its properties. 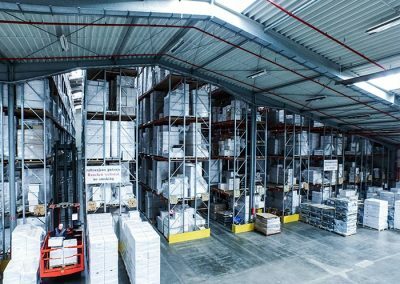 All the incoming aluminum is scanned and the data is transferred to our PPS-System, in order to ensure a complete backtracking at any time. 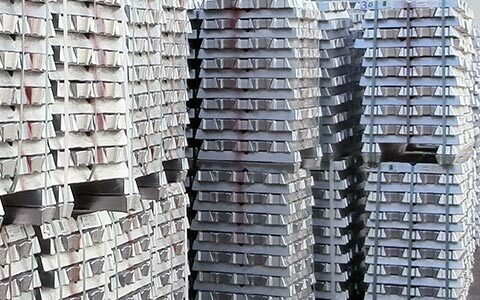 Before they are used in the production process, every piece of aluminum goes through our own spectral tests. 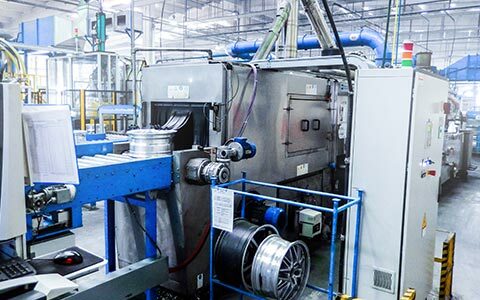 Because the wheel is a safety component and is subjected to high stresses, it must have a consistent, blowhole- and pore- free metal structure. 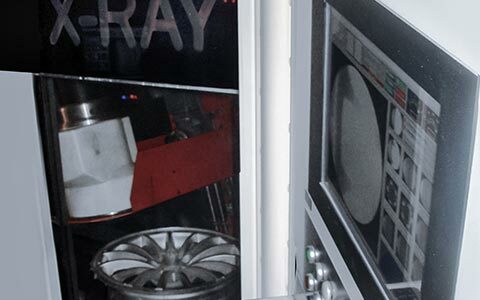 Therefore, at Brock every single wheel is checked in a completely automated X-Ray cabin. If there are critical errors, and parts that do not meet our requirements, they will be melted down again. 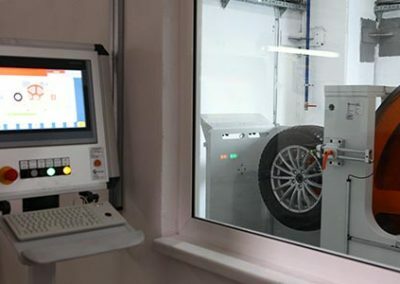 With our high tech systems, the wheels can be heated to very high temperatures to cool them down very selective after that, fully automatic. 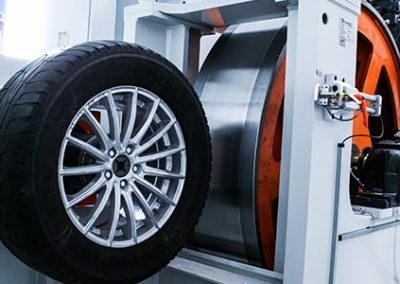 In this method, the wheels are specially cured as needed, which improves the strenght to the utmost. 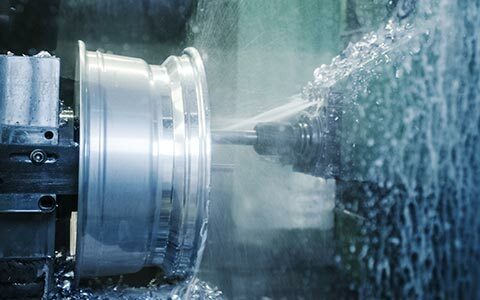 SOM is an accurate automated process where all the material, which is irrelevant for the strength of the wheel, is eliminated by modern CNC machines. 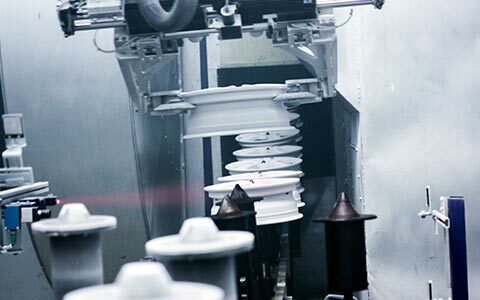 These parts of the wheel are already determined in the early stages of the development process. 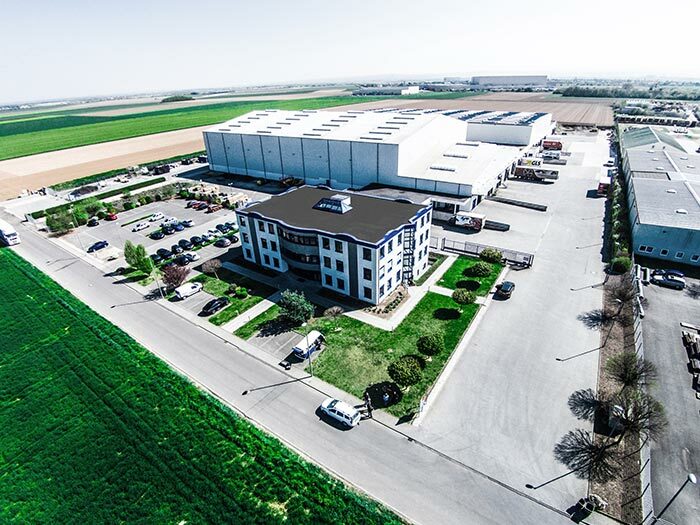 The return of this material takes place in our own recycling process, which ensures a perfect use of the resources. 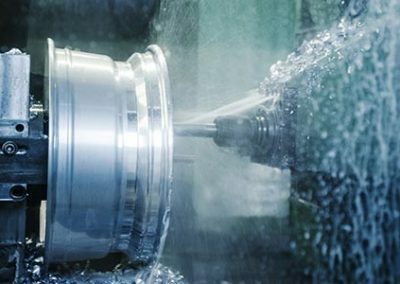 Technology driven surface finishing procedures allow an infinite satisfaction of the customers demands concerning the individualization. 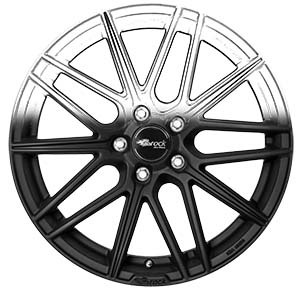 It does not matter if the wheel should shine like a mirror, or if the matt aspect plays the bigger role, even a mixture is possible. 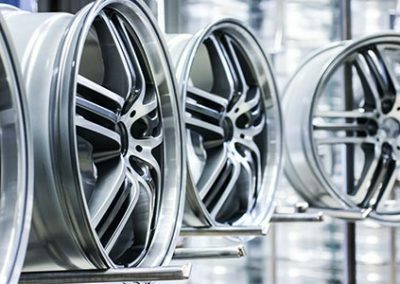 For Brock Alloy Wheels, every solution is not a problem. 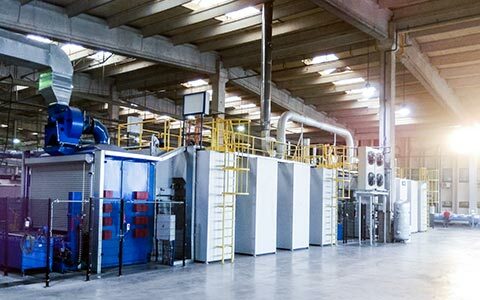 Every surface finishing is finalized with a special clear varnish, which belongs not only to the most consistent, but also to the most eco-friendly options of coating. 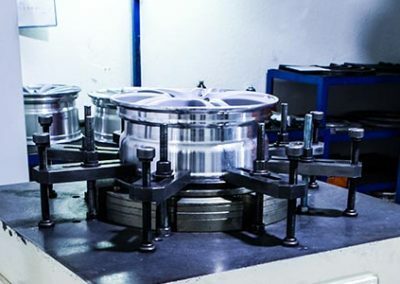 Computer simulations are very helpful before the product goes into series production, but when it comes to the final inspection, computer simulations are not appropriate. 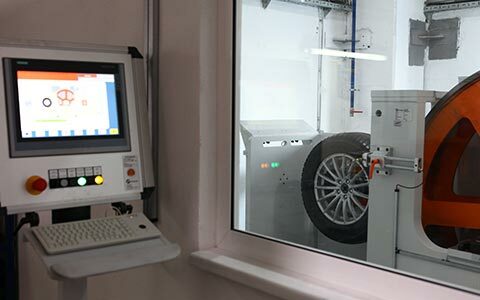 At Brock Alloy Wheels we do not only investigate theoretically, we also do tests with the finished product. 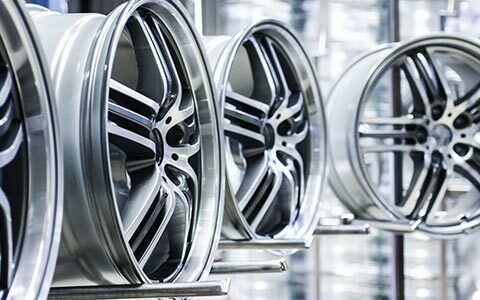 With our test facilities, Brock Alloy Wheels consists of an extensive Park of test stands, which are used by our trained personnel with highest precision. Conservation starts with our concept. Optimizations are made on the computer and are directly implemented. 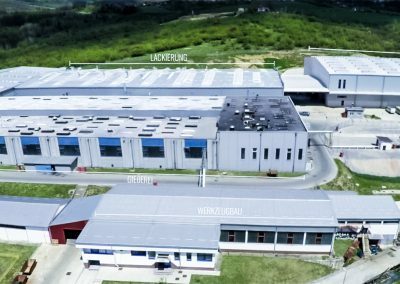 With our modern machines, which are improved and upgraded constantly, we are able to reduce the use of energy, water and materials. We use water from our own water purification system. 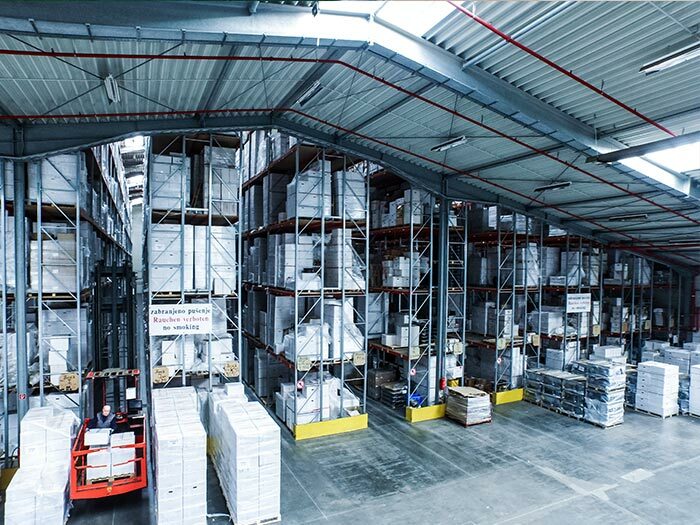 We can supply the complete production area with that and we also reduce the produced waste. 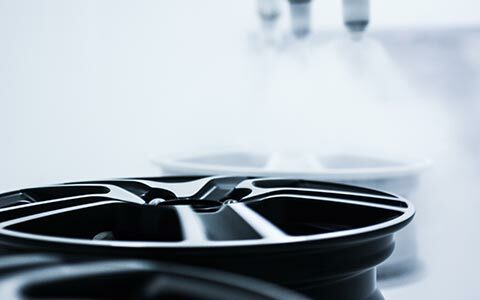 Environmental protection and safety is an essential part of our company policy at Brock Alloy Wheels. 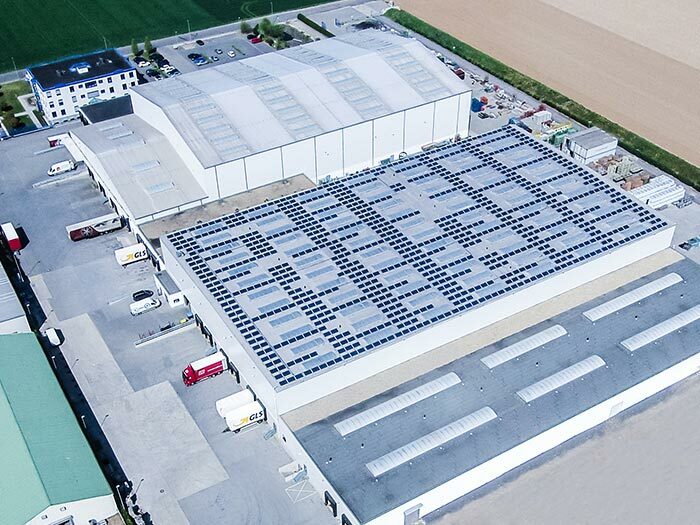 We also purchase our consumed electricity by a modern photovoltaic system since 2014 at our location in Weilerswist.